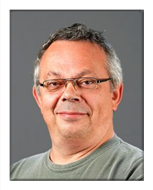 Prof Alexander Balinsky received his PhD degree in Mathematical Physics from the Landau Institute of Theoretical Physics in 1990 and was Research Fellow in the Department of Mathematics at the Technion-Israel Institute of Technology from 1993 till 1997. He joined Cardiff University in 1997. He is a Professor in the Cardiff School of Mathematics and WIMCS (Wales Institute of Mathematical and Computational Sciences), Chair in Mathematical Physics. His current research interests lie in the areas of spectral theory, stability of matter, image processing and machine learning. 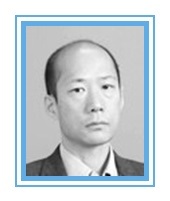 He has participated in EU TMR network on Partial Differential Equations and Quantum Mechanics (1996-2001). He was PI on three years grant from United State-Israel Binational Science Foundation (1996-1999), on three years EPSRC Research Grant 2003-2006. He was founding member of Cardiff Communication Research Centre. He had several joint with Hewlett-Packard research projects. He also did consultancy work for Reuters, London on mathematical models for Internet Security. His Impact Case Study "Meeting the Challenges of Data Security: Detecting Unusual Behaviour and Mining Unstructured Data" was featured in the leading article 'The impact of impact' in Times Higher. Out of almost 7,000 case studies that were submitted to REF2014 across all units of assessment from all universities, this case study was one of only 8 highlighted in the article! He was invited by Springer to prepare an article about this Impact Case Study to be publish in a special book "REF 2014 Impact Cases: UK Success Stories in Industrial Mathematics". The book was published in February 2015. Currently he is PI on joint with Hewlett-Packard and Dyfed Powys Police on “Crime Analysis and Predictive Policing”. Kazumasa Oida received Bachelor of Information Science, Master of Engineering, and Doctor of Informatics degrees from the University of Tsukuba in 1983, Hokkaido University in 1985, and Kyoto University in 2002, respectively. He worked for the Nippon Telegraph and Telephone Corporation for twenty years as an engineer, where he participated in the development of private network systems. He is currently a Professor in the Department of Computer Science and Engineering, Fukuoka Institute of Technology, Japan. His main interests include traffic control, QoS, cybersecurity, information diffusion in OSNs, etc. 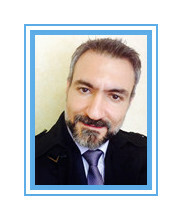 Atour TAGHIPOUR is an Associate professor and the head of an international management master program at the University of Le Havre in France. He holds a PhD in Industrial Engineering from the Polytechnic School of Montreal in Canada. He received two masters’ degrees, one in Management, Logistics & Strategy and other in Industrial Engineering. He has more than ten years of experiences as a manager in automobile industries. 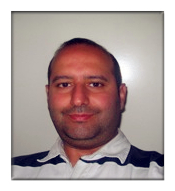 He has published two books and many research papers in international journals. His areas of research are supply chain and operations management.